The Eagles chronicled America in the high-flying Seventies, a time of rapidly changing social mores leading up to what they called "life in the fast lane." Between the lines, their favorite subject matter was the pursuit and unraveling of the American dream. They began as wide-eyed country-rockers on the fertile Los Angeles music scene and evolved into purveyors of grandiose, dark-themed albums about excess and seduction. 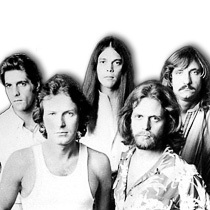 The Eagles were defined and bounded by the Seventies, forming in 1971 and parting ways in 1980. They were born again in 1994 as public demand for their music and messages persuaded them to reunite.